The trend for solo travel is on the up - from sabbaticals, to simply indulging in your own time - Africa delivers in spades. dhow sailing safari along the east African coast. You may prefer a more individually tailored itinerary in small intimate lodges where you will come into contact with different characters in each location, and feel very much part of the scene. 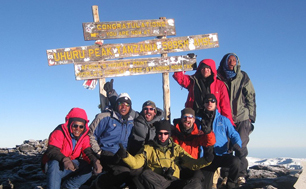 Certain safaris will waiver this or if you book early, often the first few bookings are exempt. From the moment you arrive, to the time that you leave, you will be looked after at all times. Regular departures throughout the year, maximum 8 - 12 people, trips tend to last 7 - 10 days. Many of the lodges will offer communal dining, turning each night into a friendly dinner party. 7 night trips start from approximately £2150 - £4050 per person upwards, excluding international flights. Group departure Mobiles: - By far the most popular - a very easy way to travel through a country, concentrating on best safari areas. 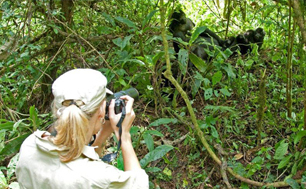 Gorilla Trekking: - Track the mountain gorillas through the misty forests of Rwanda. Often cheaper when joining a group. 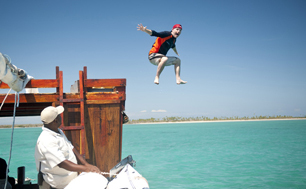 Sea adventure: - Set sail on an 8 day island hopping sea safari by dhow in Mozambique’s Quirimbas archipelego.